One marmot dares to gorge. available for a limited time only to supporters of Ben Lehman's Animal Crime kickstarter. So, what's the best way to let you know we donated? Or is the playbook just a prize we will receive in an email? Ah yes! Ben will get you the playbook when the kickstarter's done. Like a hoarder, except furry? Well, like a hoarder detective who hibernates, except furry. Yes. Wait, wait, wait, an actual marmot? Um, of course. What, you thought a fake marmot? I love the idea of this project, but the Kickstarter page gave me no idea what the players do. Is there more info about Animal Crimes available somewhere? I see nothing on the TAO Games site. I'm pretty sure you're a marmot detective, and you find out who did a crime, and also get rye drunk in a dive. And then ideally you play Sea Dracula to try the case. But I'm just putting together the pieces, I don't personally know. Animal Crime is a stand-alone game, by Ben Lehman. It's a prequel to Sea Dracula by Jake Richmond. The Marmot playbook is a regular old limited ed playbook for Apocalypse World, same as the touchstone, the faceless, etc. Here's a short, informative play about the two projects. BEN and VINCENT are talking on the INTERNET. BEN: Animal Crime is two backers away from the $1,000 mark. VINCENT: Cool! 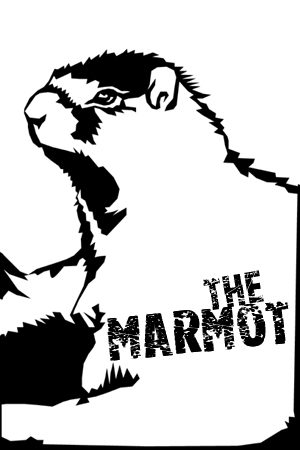 I've put the Marmot teaser live on my website. That'll drive your last two backers away. BEN: Introducing the Marmot. Apocalypse World is ruined forever. I'm happy to answer questions about ANIMAL CRIME in this post, if Vincent doesn't mind. One player plays Marmot Detective, a hard-boiled marmot detective from the mean streets of Animal City, who is investigating a crime and gets caught up in a web of lies, betrayal, and seduction. The other players play suspects, who may or may not have committed the crime and may or may not have agendas of their own. During play, the suspect players play-act their suspects and the Marmot Detective player follows clues, threatens violence, covers up the truth, indulges in vice and hibernates. The game ends with Marmot Detective discovers the truth or is killed. It takes 45-90 minutes to play. *slightly longer than an elevator pitch. Is the Marmot actually playable? It's, erm, a marmot. Also, this game looks awesome. The Marmot is totally playable. Oh baby is the Marmot playable. Since everyone so far has had the good taste to not bring it up, I figure I'll bring it up: I intensely want both to know and never know the Marmot's Special. The Marmot's special may or may not involve fursuits. Ben, thanks for the info! Does the experienced player play the marmot, a suspect, neither (acting as facilitator), or is that totally flexible? Are the noobs' suspect characters assigned agendas and guilt/innocence up front, or does that emerge through play, or something else? I'm trying to get a sense of what to tell the noobs is required of them. FWIW, I love the model of "This'll be a pay-what-you-want product, chip in ahead of time to help improve its visual quality." Gives a sort of "teamwork" vibe to the whole producer-consumer thing. The experienced player plays the Marmot. The inexperienced players (playing the suspects) decide what the crime was, and who did it. Any other agenda emerge through play. Oh, the Marmot has to handle choosing what scene comes next, walking the noobies through scene framing, noticing conflict, rolling and assessing die rolls. Ah! Yeah, that does sound like fun, I can see myself pitching that to some non-gamer friends. "Make up a crime, pick a perp, then act out how your animal character responds when a marmot interrogates you!" Should be kinda like pitching How to Host a Murder Mystery, but asking for less time investment. I vaguely remember that game running well over 2 hours. Animal Crimes sounds simpler. Unless there's dancing, like Sea Dracula. That requires a whole other level of participant willingness. I'm glad to see AW acknowledging it's Gamma World roots. Is this the same marmot that's in Caddyshack? Holy crap, Animal Crime. Goal $150, raised $1625. Apocalypse World furry cosplay at Gen Con next year? Anyhow I know Ben's been delivering these, so if anybody has any thoughts or questions they're very welcome. What if the marmot misses two sessions in a row? Does the MC roll hibernation twice?